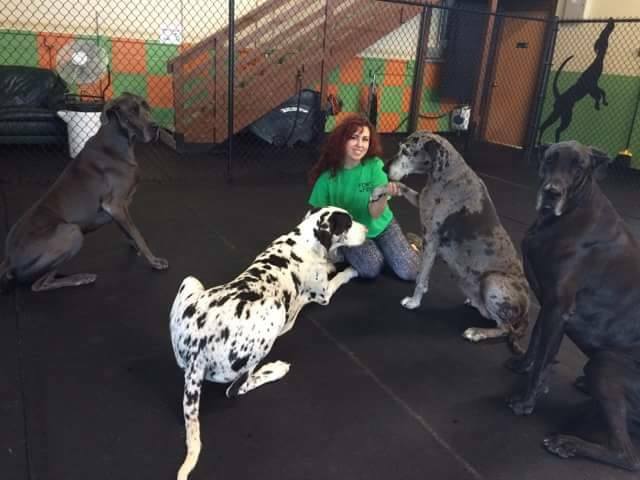 Fort Fido Dog Daycare & Boarding News Blog: GREAT Danes!!! See what I mean? This is Theodore playing with one of our large herding balls when he boarded with us in the past. What goofy and silly pup! Great Danes were originally bred in Germany and were called, Englische Docke or Englische Tocke. They were used to hunt Boar, Bear, and Deer at the royal courts. Their main duty was to protect the sleeping Princes from assassins. However, in the 19th century certain breeders tried to get their name changed to the German Mastiff. They wanted the breed to be known more as a luxury, instead of a working dog. Although, Germany was in tensions with other countries at the time, so their name eventually became Great Dane, even though the breed has no Danish Ancestry... Weird huh?! A unique mix of dogs were chosen to create this breed, since they were designed with boar hunting in mind. 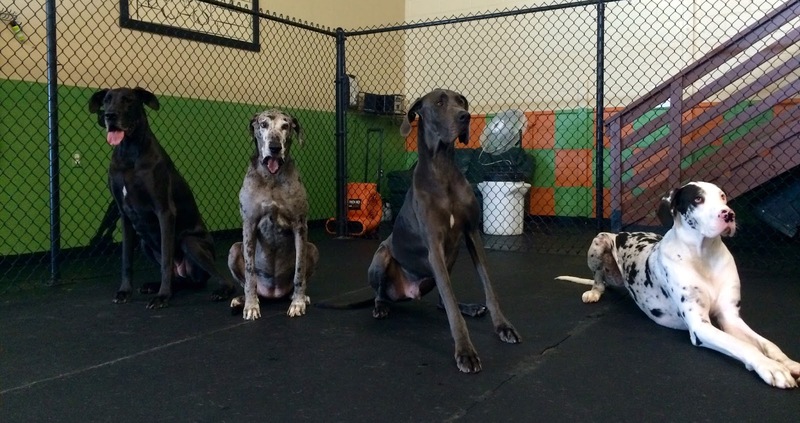 To achieve desired results, three different breeds were used: Irish Wolfhounds for their height, Mastiffs for the muscle mass, and Greyhounds for speed. 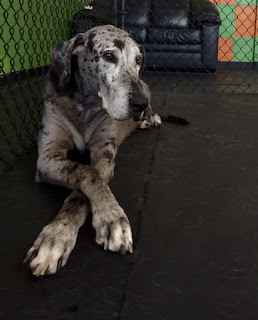 Did you know Great Danes are actually well-suited to live pretty much anywhere? Even an apartment! A lot of people would think otherwise at first, but they're such a relaxed dog. They do need exercise, but not as much as you'd think; don't let their size fool you. They also don't bark much, which helps if you do live in an apartment. They make great Cartoons! Scooby Doo, Marmaduke, and the Jetson's dog Astro, were all Great Danes. Check out some of the Danes who attend Fort Fido! 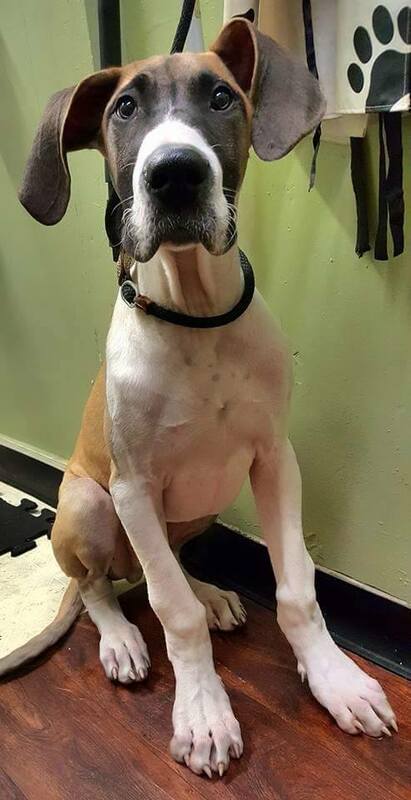 This is Marley and he's currently our youngest Dane. Check out those ears! stood 44 inches tall and was 7-foot-4 when he stood on his hind legs.